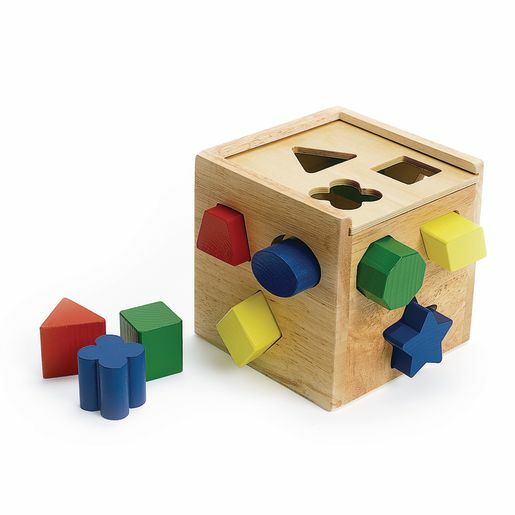 The ultimate shape sorter! Features 12 chunky, vibrantly colored shapes that make a satisfying 'clink' as they drop into the natural finished hardwood cube! Open the lid, take them out, and start all over again! Ages 2 years and up.